Our local partner, Sierra Club’s Delta-Sierra Group, is excited to offer this tremendous volunteer opportunity this summer. 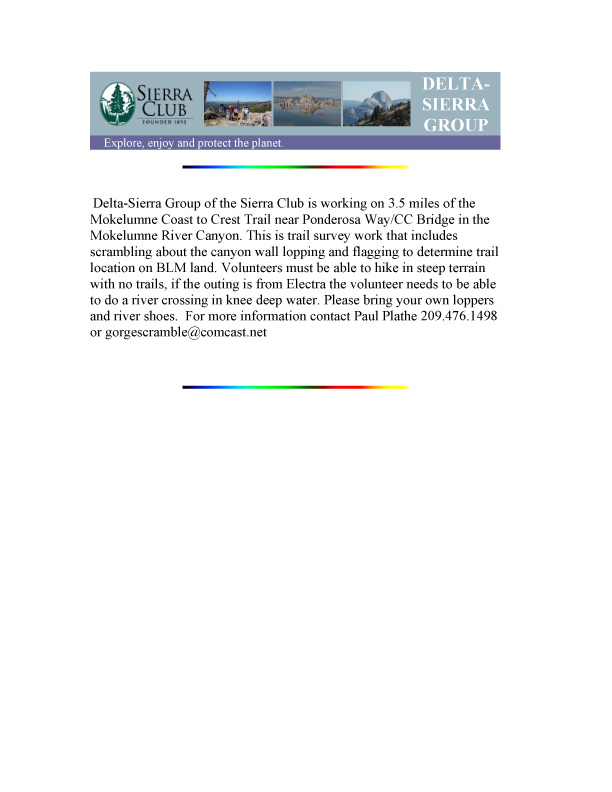 Please get in contact with Paul, who is responsible for coordinating this Sierra Club outing. See Delta-Sierra Group for more information about the wonderful outings & work they do in our region.